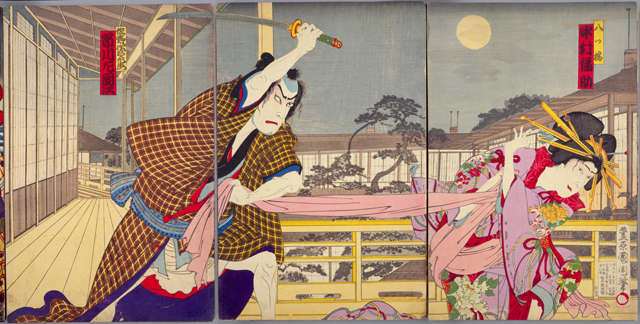 Hello brave Googlers, searching for more information about the 47 Ronin after today’s episode of Ancient Black Ops. 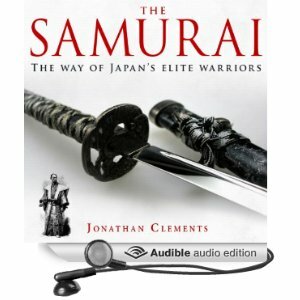 You’ll probably need this excerpt from A Brief History of the Samurai by Jonathan Clements, available now in the UK and US. The year of Mitsukuni’s death saw one of the defining events of eighteenth-century Japan, the infamous vendetta of the ‘Forty-Seven Ronin’. As part of the endless rounds of ceremonial and courtesy calls of the Tokugawa period, Asano Naganori, the young feudal lord of the Ako domain was ordered to entertain envoys in Edo who had freshly arrived from Kyoto. As part of the preparations, he met Kira Yoshinaka, one of the Shogun’s high-ranking officials. The men do not appear to have hit it off, and, reading between the lines, Kira was expecting substantial bribes and honoraria from Asano, even though it was his job to instruct him. Whatever the nature of the tensions between them, Kira had mastered the art of the snide comment, and seems to have made one allusion too many about Asano’s country origins. On 21 April 1701, under a covered walkway at one of the Shogun’s mansions, Kira pushed too far, and an enraged Asano drew his short sword and knifed him in the face (or shoulder, depending on the source). The wound was minor and guards soon separated the brawling men, but the damage was done. Regardless of claims of the right of samurai to defend their honour, drawing a weapon within the Shogun’s palace was a capital offence. 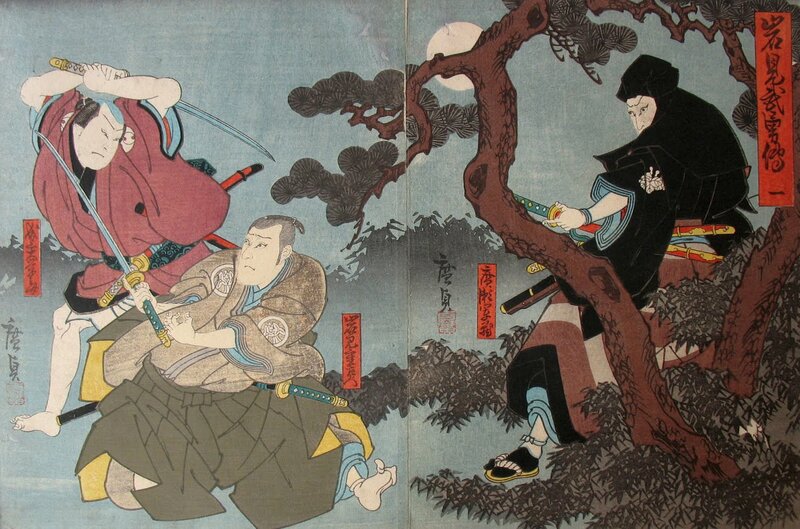 Asano was ordered to commit seppuku, his lands were forfeit, and his followers were outcasts – ronin. When the news reached Asano’s castellan Oishi Yoshio, Oishi obediently shut down the castle, disbanded the soldiers, and handed the keys and manifests to the new lord appointed by the Shogunate. Where once there might have been war, the Tokugawa rule was supreme, and a lord could be unseated by simple decree. However, while Oishi had done his duty to the Shogun by obeying orders, he was also determined to do his duty by the wronged lord Asano. In the company of several dozen fellow retainers (traditionally forty-seven, but possibly more), he plotted his revenge against Kira. Over the two years that followed, Oishi gave every appearance of being a discredited samurai. He was seen in Kyoto brothels, he was publicly drunk, and he was conspicuously on the Tokugawa-era scrapheap. In a move that has often been cited as an indicator of his true nobility, he even divorced his wife and disowned his children, to ensure that they would not have to bear any consequences for his coming vendetta. Slowly, the Forty-Seven Ronin converged on Edo. One married the daughter of the man who had built Kira’s house, obtaining in the process the plans for the inside of the mansion. Others secretly smuggled weapons into Edo. The vengeful assassins struck on 14 December 1702, in a double-pronged assault on Kira’s snow-bound house. The mansion erupted in a savage battle between Oishi’s men and Kira’s underlings, which saw sixteen of Kira’s men killed and another twenty-two wounded. Kira, however, had fled through a secret exit, leaving his bedclothes still warm. Oishi bested two other retainers in a dark, secluded courtyard, before dragging the man they were protecting into the light. Beneath the warm glow of the lantern, Oishi saw the scar left by his master’s knife. He had his man. 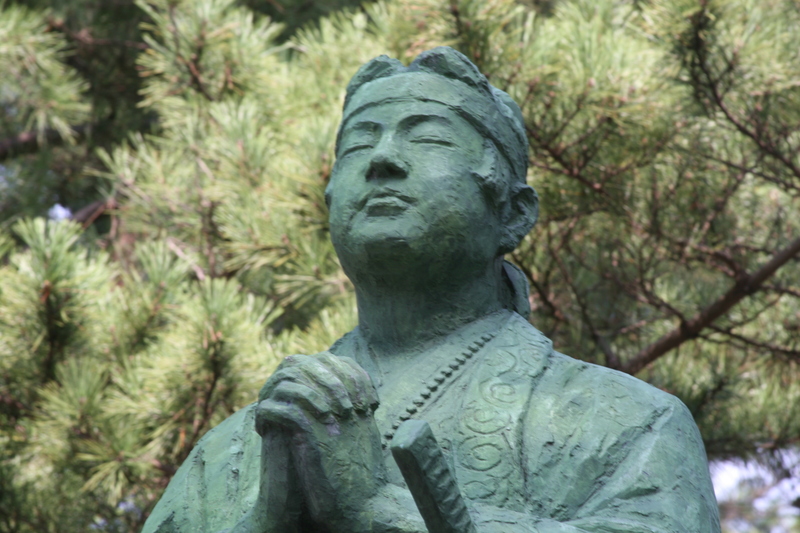 In one of the strange turnabouts of the samurai world, Oishi dropped to his knees and bowed before Kira, explaining who he was and humbly offering him the chance to atone for his misdeeds by committing suicide. It was only when the cowering Kira refused to respond that Oishi dragged him up by his hair, and hacked off his head. Their job done, the samurai carefully extinguished the lamps in the house in order to avoid accidental arson, and then ran for Asano’s grave with Kira’s head. As the sun rose, word spread of their action, and they made their way to the temple grounds of Sengakuji amid something of a carnival atmosphere, congratulated and fêted by the townsfolk. They laid Kira’s head on Asano’s grave, and then turned themselves in to the authorities – all except one, who had been sent to Asano’s old domain to pass on the news. The vendetta was an awful embarrassment for the Shogun’s government – the samurai had behaved impeccably according to samurai tradition, but had also defied a Shogunal prohibition. 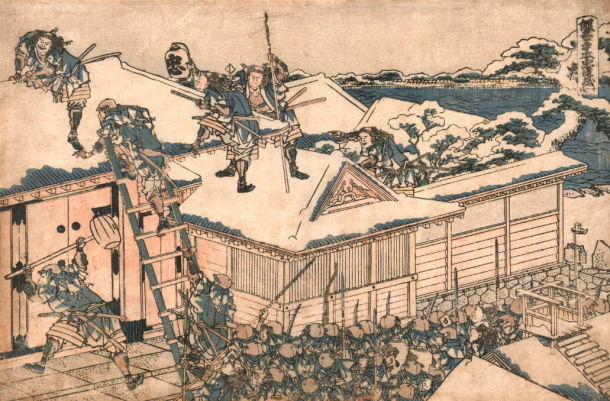 Edo locals did not help by petitioning the Shogun on behalf of Oishi and his men, pointing out how true they were to the nebulously defined samurai code of honour. Eventually, the Shogun ordered that instead of the death penalty as common murderers, the ronin would be offered the chance to commit seppuku as a gesture of respect. This they did in early 1703, with the exception of the messenger in Ako, who was spared. Their act cleared the name of their late lord, restored the reputation of their many fellow retainers, and eventually led to the restoration of the house of Asano, albeit with a greatly reduced size of fief. The men were held up as heroes by many, although one noted commentator gruffly wondered how ‘true to tradition’ it would have been if their target had died of an illness during the prolonged execution of their two-year plan. Instead, one samurai theorist suggested that the true samurai way would have been to attack Kira on the day of the original insult. They would still have died, but the process would have been quicker and more conspicuous. Such a comment, made by Yamamoto Tsunetomo, encapsulates the contradictions of the samurai era. Taken at face value, there often seems little difference between a samurai dispute over honour and a fight in a pub between football hooligans over who has the nicest scarf.